Cigna Corp (CI) Holdings Reduced by Proffitt & Goodson Inc.
Schwab U.S. Large-Cap Growth ETF (SCHG) Shares Sold by Piershale Financial Group Inc.
Facebook Inc. (NASDAQ:FB) is expanding its Marketplace service to 17 new European markets. The service is being rolled out to Austria, Belgium, the Czech Republic, Denmark, Finland, France, Germany, Hungary, Ireland, Italy, Luxembourg, Norway, Portugal, Spain, Sweden, Switzerland, and the Netherlands this week. Marketplace is already available in the United States, Britain, Canada, Chile, Mexico, New Zealand, and Australia. Marketplace was launched 10 months ago. The service connects local buyers and sellers, much like eBay and Craigslist’s classifieds business. Marketplace makes it easy for users to trade mostly second-hand goods and charges no fees to buyers or sellers. Facebook says sellers can post items for sale via smartphone or computer in less than 15 seconds. Deborah Liu, vice president of Facebook Marketplace, said, “We want to make it easier to buy and sell, but we also want to make it community based.” Marketplace restricts searches within national boundaries, mainly to avoid language confusion. Most transactions are local and buyers can pick a radius for how far they are willing to travel to pick up their purchases. Most transactions take place offline and are paid in cash. Marketplace compliments Facebook’s newsfeed, photo, video, messaging, and other services. 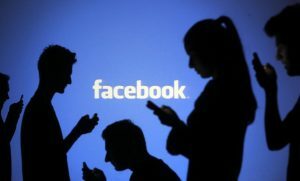 The service currently sees about 550 million monthly visitors, more than a quarter of Facebook’s 2 billion global users. The service had 18 million items posted for sale in the United States in May. The number of those items that were eventually sold is unknown. Facebook has launched a new feature within its Marketplace section on its mobile app to display a selection of inventory from eBay’s Daily Deals program. The section is prominently positioned in the central spot on the bottom bar on iOS and on the top bar on Android. Deals can be shared with others via SMS or Messenger. The deals will focus on products in the Consumer Electronics, Fashion, and Home & Garden categories. There will be around 100 new items posted to this section daily. Facebook Product Manager, Akash Anand, said of the effort, “We’re conducting a test to determine if people are interested in shopping for discounted products when they visit Marketplace.” The feature is currently available to a small percentage of people in the U.S.
Facebook has been doing quite well recently and investors have rewarded its efforts. Facebook posted a 45 percent rise in revenue, to $9.3 billion, in the past quarter. About 98 percent of that revenue came from advertising on its free services. Cigna Corp Holdings Reduced by Proffitt & Goodson Inc.